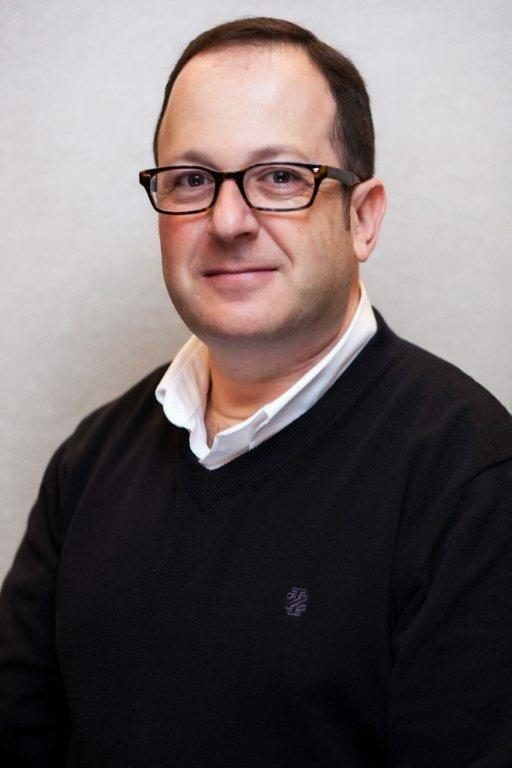 I am honored and humbled to have been chosen as DRA’s new Executive Director. DRA is an amazing organization that has improved the lives of millions of people with disabilities. Under the leadership of DRA’s founders, Sid Wolinsky and Larry Paradis, DRA has ensured that people with disabilities can fully participate in their community. I’ve devoted my career to fighting for the civil rights of people with disabilities and I look forward to working with DRA’s incredible staff and board to continue DRA’s innovative and impactful work. In the past year alone, DRA has compelled Union Community Health Center in the Bronx to adopt a plan to improve services for patients with disabilities; San Francisco Federal Credit Union to transform online banking to better serve customers with visual disabilities; Alameda County Sheriff’s Office to improve conditions for people with physical disabilities in the Santa Rita Jail; Uber to end discrimination against blind riders who use guide dogs; and Netflix to make streaming movies and videos accessible for customers who are blind. The New Year has brought significant changes to the country. The new White House administration has indicated that it will weaken the rights of students with disabilities under the Individuals with Disabilities Education Act and dismantle essential health care under the Affordable Care Act. DRA’s work is now more important than ever and we are ready to tackle the challenges that will come. We are actively working on many issues including ensuring that New York City’s police stations are accessible to people with mobility disabilities, challenging practices at hospitals that discriminate against deaf and hard of hearing patients, changing the United States Army’s practice of prohibiting staff from administering support to children with diabetes, requiring accessible subways in New York City, and ensuring accessible online voter registration in New York State. I am proud to continue Sid’s and Larry’s legacy to realize the dream of full inclusion and equality for people with disabilities and to resist the roll-back of our rights. I look forward to the significant work that lies ahead. DRA’s work is more important than ever before and we are hiring. Are you an attorney interested in cutting-edge work that breaks new ground and sets legal precedents? Learn about the great reasons to join DRA’s winning team. Candidates should have 7-10 years of systemic impact litigation experience and a long term commitment to a civil rights career. This position has the potential to grow into a leadership role. Must be admitted to the CA bar. Visit our job page for more information on all our openings, including a Fellowship and 2L Summer Law Clerkships. DRA is coming to the MoMA—and you’re invited! We are thrilled to announce Disability Rights Advocate’s Inaugural New York City Gala. The event will take place at the Museum of Modern Art on Thursday, October 12, 2017 and honor the extraordinary work of heroes on behalf of people with disabilities. Mark your calendars, look for a formal Save the Date soon, and visit our event page for sponsorship opportunities. On September 27, 2016, Union Community Health Center (UCHC) and Bronx Independent Living Services (BILS) unveiled a comprehensive plan to provide accessible health care for patients with disabilities in the Bronx. This far-reaching plan settles a lawsuit brought by DRA in 2015 and includes alternative formats (such as braille, audio and large print) for blind patients; American Sign Language as a first resort for deaf and hard of hearing patients upon request; and height-adjustable medical equipment to enable people with disabilities to receive examinations. Learn more about what’s included in the full settlement agreement on our UCHC press release. 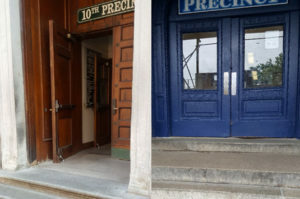 On October 27, 2016, DRA filed an unprecedented class-action lawsuit alleging that New York City’s police precincts are largely inaccessible to people with mobility disabilities. DRA brought this suit on behalf of Disabled in Action (DIA), Brooklyn Center for Independence of the Disabled (BCID), and four individual plaintiffs who were unable to enter their precincts. Our plaintiffs with mobility disabilities regularly encounter insurmountable steps at entrances, lifts that are broken or require keys which are missing, alternative routes that are unmarked and unsafe, front desk counters they cannot see over, and bathrooms too small for a wheelchair. These barriers systematically deny equal access to NYC’s police stations. Read more details in the full complaint on our NYPD press release. On January 11, 2017, DRA and co-counsel sued New Jersey on behalf of incarcerated students with disabilities who are being denied education. 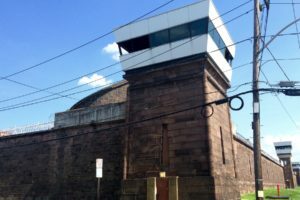 Some students in New Jersey’s adult prisons receive worksheets to complete in a cage in a solitary confinement unit, and some receive no education at all. But federal and state laws are clear: students with disabilities are entitled to special education through the age of 21. Since experts estimate up to 70% of young people in adult prisons require special education services, it is especially shocking that New Jersey has failed and continues to fail its incarcerated youth with disabilities. Read more about the complaint brought by DRA, the ACLU-NJ and Proskauer Rose against the New Jersey Department of Corrections and the New Jersey Department of Education on our press release. On January 24, 2017, Wal-Mart agreed to develop a first-of-its-kind card reader payment device mount, to be installed throughout its California stores, that will provide even greater access to customers with mobility disabilities. This settles a 2012 lawsuit brought on behalf of the Berkeley Center for Independent Living (CIL) by DRA, Disability Rights Education and Defense Fund (DREDF), and Civil Rights Education and Enforcement Center (CREEC). Learn more about these card reader payment device mounts on our Wal-Mart press release. On January 31, 2017, a settlement ensured that LinkNYC will be accessible to the blind now and in the future. The LinkNYC communication network, New York City’s payphone replacement, has been hailed as a technological revolution for its free public WiFi, phone calls, and device charging. Now, CityBridge has become a model for technology companies across the country by equipping all Links with accessible screen navigation features, an updated screen reader and text-to-speech engine, and more. In addition, CityBridge will ensure the accessibility of all forthcoming LinkNYC features before public use. This far-reaching plan settles a 2016 lawsuit brought by DRA and Brown, Goldstein & Levy on behalf of the National Federation of the Blind (NFB). 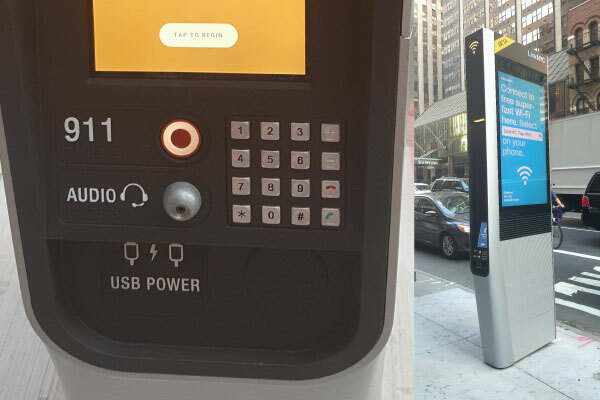 Learn more about the accessibility plan on our LinkNYC press release.